Shoreless Skies Publishing: The First Dig-iversary sale! 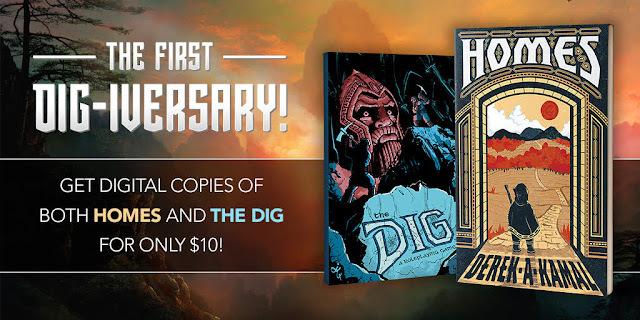 It's been one year since the release of The Dig: A Roleplaying Game and we are celebrating by bundling the game with the book that inspired it! Get PDFs of both The Dig and Homes for just $10 for the next week! The Dig softcover is also on sale! Get yours before the sale ends on 9 February!